Peter D. Zak is President and Chief Operating Officer of Lyon Living Development Company. 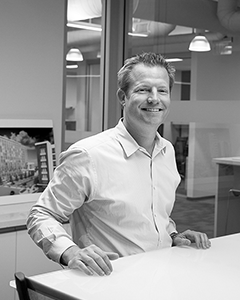 Before joining NCA Developments in early 2013 to head up its multifamily group, Peter was Senior Vice President of Community Development and Capital Ventures for Lyon Living. While at Lyon, Peter managed the company’s entitlement, development, and acquisitions groups in addition to providing key contributions in the areas of project capitalization. Peter joined Lyon Living from the Irvine Company, where he served as Director of Development with the company's community development division, Irvine Community Development Company. He was involved with masterplan design, entitlements, and builder land sales in land and infrastructure developments for some of The Irvine Ranch's most prestigious communities, including Orange County's premier golf community, Shady Canyon, Quail Hill, Pacific Ridge, and the multiple-award-winning community of Woodbury. During his career, Peter has overseen the design, entitlement, and construction of nearly 20,000 multifamily and single family residential units, over 500,000 sf of retail, various hotels, an 18-hole private golf course and club facilities, and special purpose projects, such as an advanced petroleum field assessment and recovery. Peter began his career as an auditor for Ernst & Young Kenneth Levanthal, where he provided audit and financial services to a number of real estate companies, including Irvine Apartment Communities, William Lyon Homes, Sunstone Hotels and Institutional Housing Partners. Peter is currently Chairman of the Newport Beach Planning Commission - considered by many to be at or near the top of the best run cities in the State of California. He is a graduate of Villanova University.